Gilestone is a keystone of the Talybont community, and Charles is passionate about conservation. The Farm has worked with a local charity, the Vincent Wildlife Trust, together with the Woodland Trust to improve habitat for birds and the rare Lesser Horseshoe Bats by planting hundreds of trees and hedges in the farm. 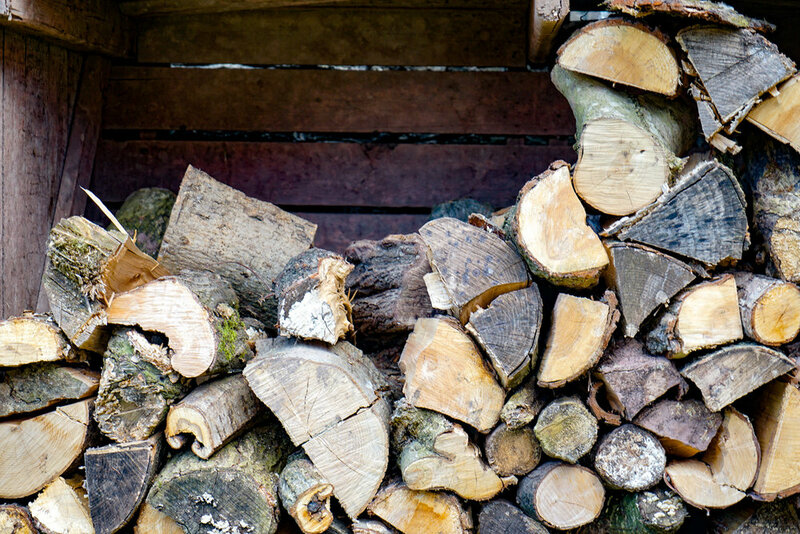 Talybont-on-Usk Community Woodland Group manages several acres of young woodland on the farm, some of which is used to provide a sustainable source of fuel. The consequence of this is that there is a lot of wildlife at Gilestone. Pheasants roam freely over the farm, (knowing that they will not be shot! ), and there are buzzards, red kites, and herons in abundance. Talybont is in planting a community orchard – one of fourteen across Wales which are supported by the Welsh Perry & Cider Society and the Heritage Lottery Fund. As part of this, Gilestone has a newly planted pear orchard, and we actively encourage guests and the community to help themselves. Guests can find apples in other community orchard in Talybont - along the canal bank and around the playing fields in the village. Talybont certainly punches above its weight. It’s a small village, but well known among walkers and cyclists. There’s a canal, two rivers, a reservoir, hills, woods, waterfalls, wildlife, local arts & crafts, a village shop with cafe, playground with ‘trim trail’, as well as three good pubs. Talybont even boasts its own fascinating history from the Iron Age to the Industrial Revolution. There are plenty of fabulous walks from Gilestone and Talybont. Take an easy stroll along the canal, an epic circular hike taking in all the Central Beacons or a short walk around the stunning Talybont Waterfalls . The Talybont website has some good routes and Charles is happy to offer advice. You can’t beat Talybont for cycling, both on road, easy trails - including the canal towpath and off road. Hire bikes from Bikes and Hikes or bring your own. 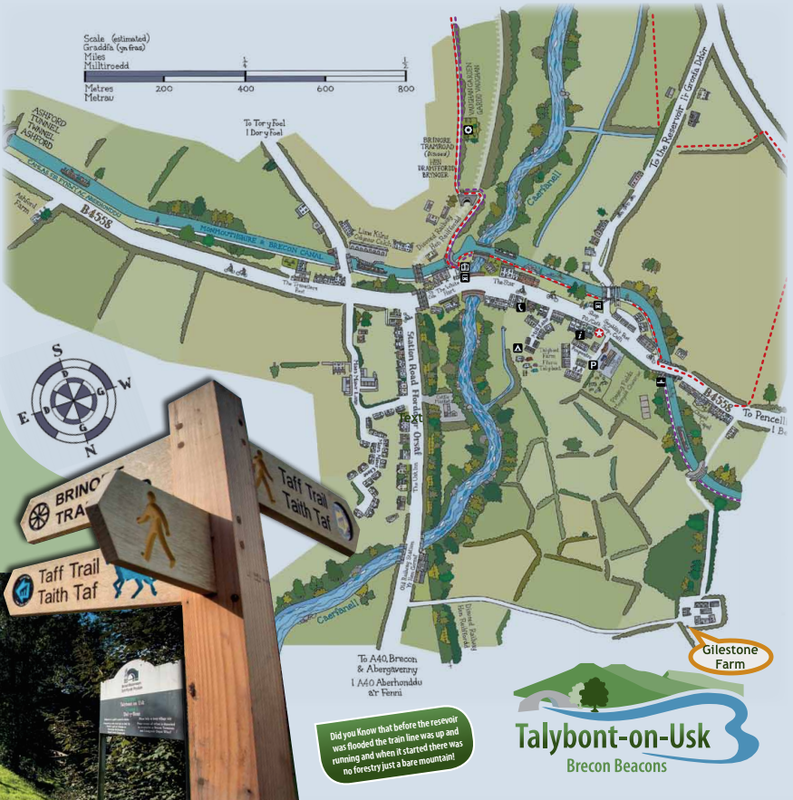 The Talybont website has some good routes to try. Aside from exploring the gardens and the play area, biking and walking, there are hundreds of local activities for children. There is a great play ground in Talybont (3 minute walk). 4 miles down the road is Cantref Adventure Farm, which has a riding stables, petting farm and Europe’s longest sledge ride. On the outskirts of Brecon is the great Play Barn at Brynich. 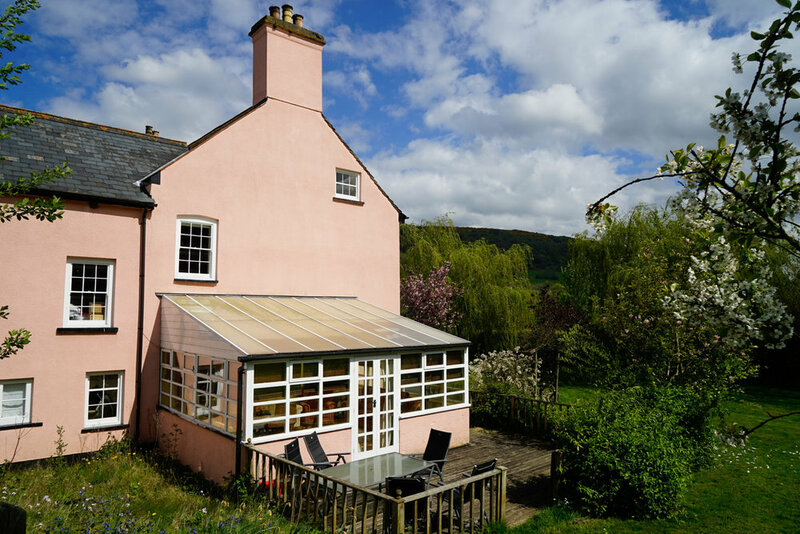 Further afield is The Red Kite Feeding Centre, near to Trecastle, the Brecon Mountain Railway and the spectacular National Showcaves at Dan yr Ogof are about 30-40 minutes away. Brecon is famous for the Cathedral, Regimental Museum and fantastic theatre. It also has a range of coffee shops and antique shops to browse. Be sure to visit Crickhowell (15 minutes away), recently awarded the Best British High Street title - fabulous independent shops of all sorts, and the superb Bear Hotel for informal meals throughout the day. There are plenty of pubs and restaurants nearby. For special occasions it’s hard to beat The Griffin at Felin Fach. Also try the Gurkha Corner in Brecon, Cat Soup Corner in Brecon, The Star at Talybont, The Three Horse Shoes in Groessfordd and the Red Lion at Pencelli.